Vaccines are not just for children. There are important immunizations for seniors as well. 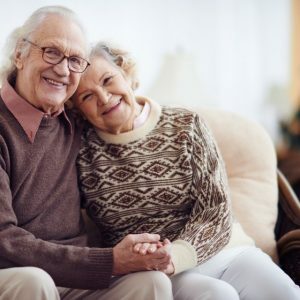 Certain immunizations can help prevent seniors from getting and spreading serious diseases that could result in poor health, medical bills and not being able to care for themselves. In fact, some seniors may need one or more vaccines, even if they received them as a child or as a younger adult. Immunity to certain diseases can wear off over time, and as people get older, they are at an increased risk of contracting various illnesses. Some may also be at risk for vaccine-preventable disease due to age, lifestyle, travel or health conditions. All adults need a seasonal flu vaccine every year. It is particularly important for people with chronic health conditions and older adults. More than 60 percent of seasonal flu-related hospitalizations occur in people 65 years of age and older. The CDC has established that the flu and pneumonia combined rank seventh on the list of leading causes of death among seniors 65 and older. The shingles vaccine can significantly reduce the chances of getting shingles, a painful skin rash caused by the same virus that causes chickenpox. About half of the estimated 1 million Americans who get shingles every year are 60 and older. Therefore, the CDC recommends the vaccine for everyone 60 and older. Although rare in the U.S. today, both diphtheria and tetanus are very serious diseases caused by bacteria. Diphtheria spreads from person to person through secretions from coughing or sneezing. Tetanus-causing bacteria enter the body through cuts, scratches or wounds. Adults should get a Td (tetanus, diphtheria) booster shot every 10 years to protect against both diseases. Because pertussis may feel like a regular cold at first, an adult may not know they have it and then pass it on to someone in their family. Adult pertussis immunity wears off, putting infants at increased risk. Seniors, especially those who have close contact with infants, should receive a Tdap vaccine booster to protect against pertussis. Pneumococcal vaccines are essential because they protect against pneumococcal disease, including infections in the lungs and bloodstream. Each year in the United States, this disease kills thousands of adults, including 18,000 adults 65 and older. Thousands more end up in the hospital. The best way to prevent pneumococcal disease is by getting vaccinated. If you are unsure which important immunizations are right for your senior parent, ask their doctor. You also can use this Adult Immunization Vaccine Finder to receive personalized vaccine recommendations based on your age, health status, location and other factors. Contact FirstLight Home Care today to learn more about how our caregivers can provide a stress-free solution to getting seniors immunized.